In 1950 Congress passed the Internal Security Act and, four years later, the Communist Control Act. It condemned communism and the Communist Party of the United States. Today a sizeable portion of Congress actually belongs to the Communist Party U.S.A. or is sympathetic to it. 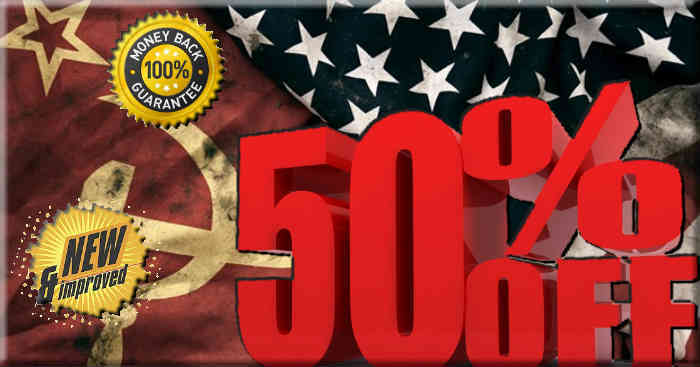 In a recent poll, 40 percent of Americans prefer communism to capitalism. In 1954 Congress delineated penalties for anyone belonging to a party or a group calling for the violent overthrow of the United States. Just being a member, however, was not enough reason for arrest or penalty. Today members of Congress, public citizens, and illegals call for the overthrow of our government without any penalties. The Internal Security Act of 1950 is known as the Subversive Activities Control Act or the McCarran Act, after its principal sponsor, Sen. Pat McCarran (D-Nevada). Congress enacted this federal law over President Harry Truman’s veto who was concerned about the fact that it curtailed the freedom of speech, press, and of assembly. This act required communist organizations to register with a subversive activities control board; investigations were made of suspected persons who promoted a “totalitarian dictatorship,” either fascist or communist. If persons were members of such groups, they could not become citizens or enter/leave the U.S. The McCarran Act strengthened “alien exclusion and deportation laws” and, in times of war, allowed for the detention of dangerous, disloyal, or subversive persons. Picketing a federal courthouse was a felony if the intention was to obstruct the court system or influence jurors or other trial participants. Hollywood and the press dubbed this period of time the Red Scare and McCarthyism even though Sen. McCarthy, a war hero, was vindicated recently through the release of the Venona papers - there were people in Hollywood and other fields who were communist spies and sympathizers. Today’s large percentage of the American public who think that it would be a great idea to live under communism as opposed to capitalism, are not unlike Eugene Lyons who wrote “Assignment in Utopia” in 1937, describing his communist activism and journalism in America and his journey to Russia where the reality and harshness of Bolshevism hit him squarely in the face. In a mood of romantic anticipation, Lyons arrived in the “land of proletarian dictatorship,” expecting a country of milk and honey with beds of roses. What he found was a forlorn-looking station; “nor cold nor darkness could douse our high mood of expectation.” It was a thrill to find his private, misguided, and misconstrued esoteric symbols of what he perceived to be Utopia on earth. Negotiating a permit, a propusk, Lyons realized that the word loomed “gigantic on Russia’s horizon.” Russians needed a permit for everything. “It allowed me to enter the musty old building, to follow my secretary through a maze of dark corridors, and finally to meet the censors. As a correspondent dubbed “sympathetic” and “friendly,” Lyons was shocked that he could not see President Kalinin. Comrade Rothstein, his handler, raised his eyebrows at this American’s temerity. “Would a foreign correspondent arriving in Washington, have the nerve to ask to see President Coolidge, Rothstein asked. Lyons realized that communism operated under a “barbed-wire of inaccessibility.” No press conferences twice a week, no press secretary, no questions taken from the media like in America. The Russian communist president was king, no consultations with his cabinet members or his Secretary of State. Even an idealist like Lyons eventually realized that the Bolsheviks, “the newly powerful, like the newly rich, are on the alert against any slight to their dignity” and this dignity was boundless. In its ardent idealism and longing for the communist utopia, Eugene Lyons illogically gave the Russian revolution credit for everything cultural, art, opera, theater, parties, fun, which the country had actually inherited from the tsarist era. Idealist rebels like Lyons did not notice the misery and shortcomings surrounding him or glossed over them. To say that today’s youth have learned nothing from history is an understatement. It is obvious in the Bolshevik and Stalinist cultural purge the BLM, a racist organization, and ANTIFA, a fascist organization, engage in largely undisturbed. No historical monument or statue seems to stand in their way of violence and destruction. The New York Times published a sympathetic piece about communism, “When Communism Inspired Americans.” At the time, it was a misguided fringe of deluded proletarian activists perhaps who worshiped at the foot of Soviet Bolshevism. It seems that a whole lot of Americans today, influenced daily by the mainstream media and Hollywood, are “inspired” by Venezuela’s bankrupt and starving socialism, Castro’s murderous socialist regime, Che Guevara’s revolutionary and chic hat, North Korea’s “rocket” mad man who is starving his own people, and Mao’s Chinese Marxist model. We don’t see any wannabe communists, actors, professors, and journalists rushing to turn in their American passports to move to those dictatorial countries, although they threaten us plenty that they will leave America because they irrationally loathe the capitalism that gave them a good life, success, and wealth, and President Trump, a supporter of freedom, sovereignty, and economic prosperity.